Now, onto portable ice shacks. Pictured below is the shack that Kurt purchased a few weeks ago. We have fished out of other pop-up shacks, which all do what they need to do – block wind and contain warmth. 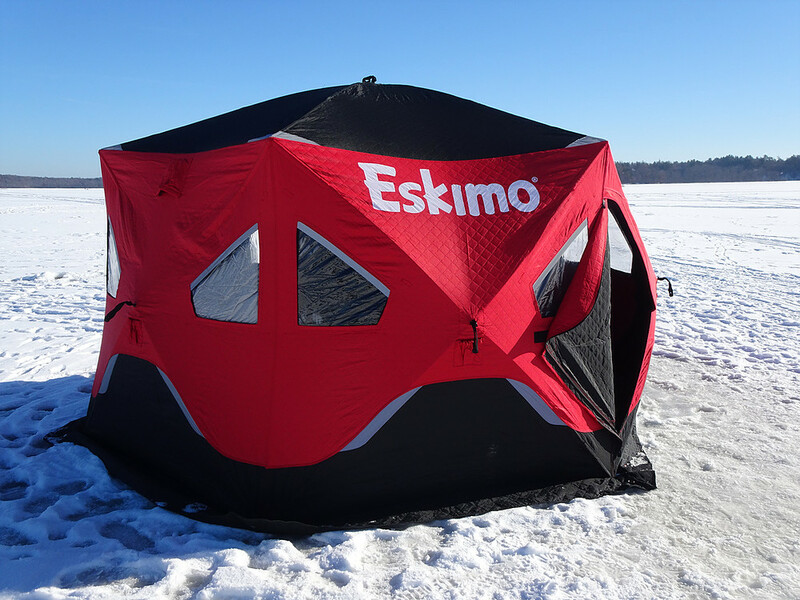 However, the feature that I love about the Eskimo brand shacks is the “IQ insulated fabric. According to https://www.geteskimo.com/ their IQ insulated fabric holds in heat 35% better than other brands. No matter the percentage, we have discovered that Eskimo holds heat extremely well compared to other pop-up shacks. In fact, the last time we used it, we had to turn the heater off and left the window cracked. On sunny days, these shacks hold heat extremely well and are an excellent escape from brutal conditions on those windy days. Well, that is all for now. 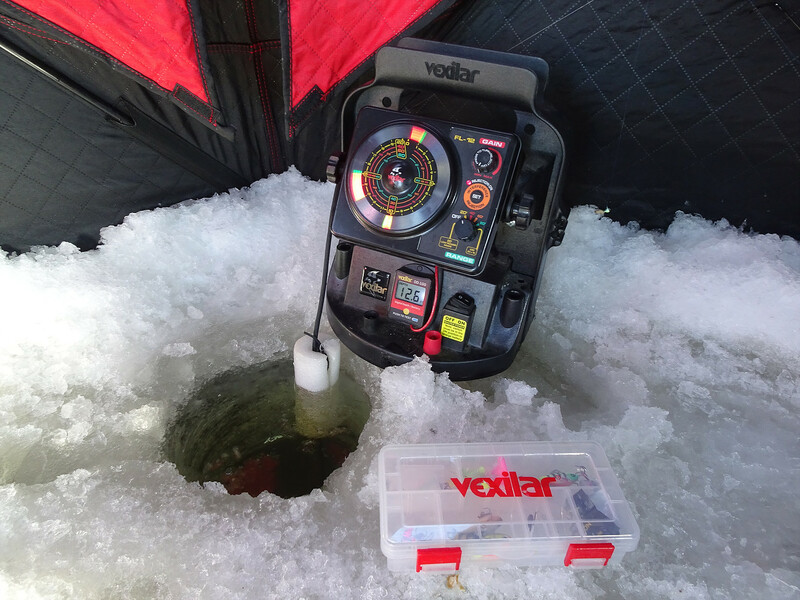 I’ll be posting additional tackle and fishing tactics as the season continues. 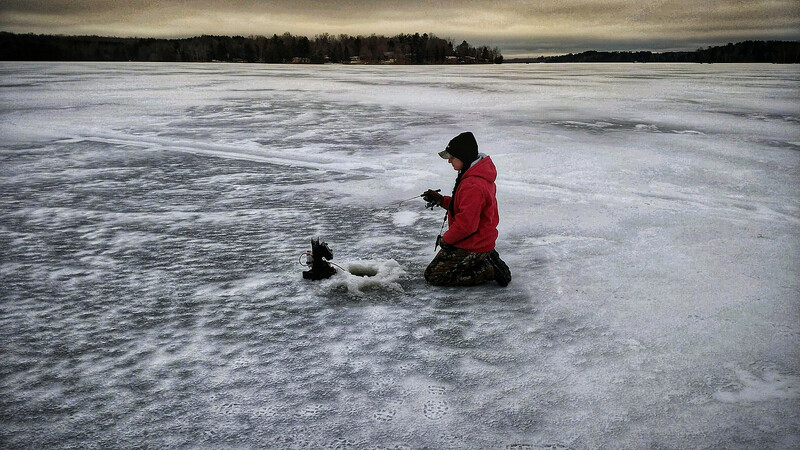 Please drop a comment below and let me know what your favorite gear/tackle is during the hard water season. Until then, tight lines and en-JOY the outdoors!